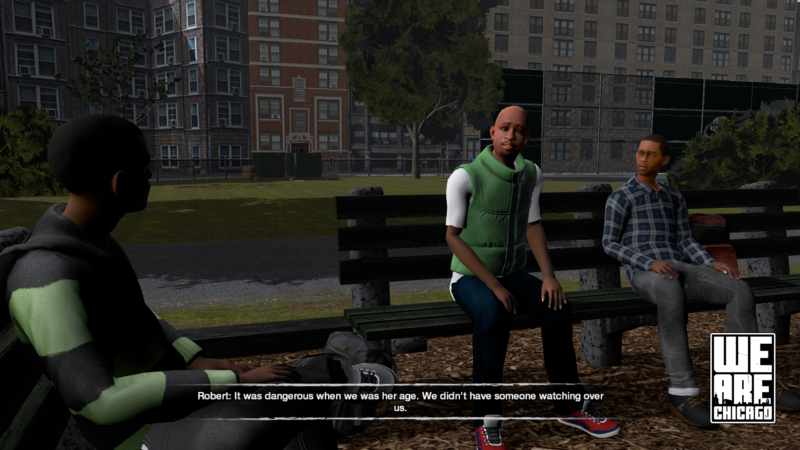 We Are Chicago is a strikingly authentic game for PC/Mac/Linux that strives to portray the harsh realities associated with growing up on the south and west side of Chicago. 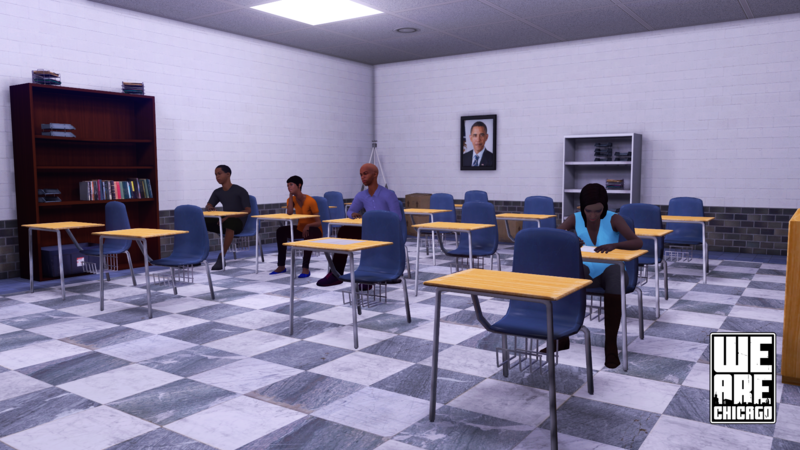 This first person 3D narrative-driven adventure game throws players into the life of Aaron who is only a week away from his high school graduation when suddenly his best friend Robert has stopped showing up to school. 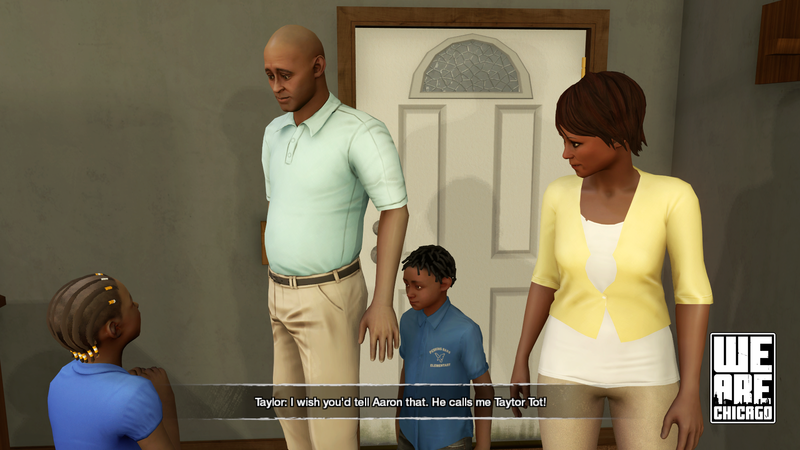 As Aaron's world is unraveling around him, it's becoming increasingly difficult for him to protect his family and loved ones among all the turmoil facing the neighborhood. 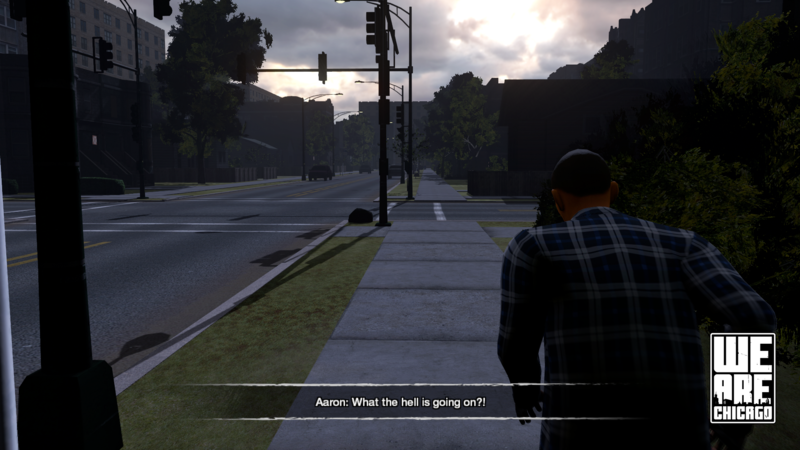 Players will need to uncover what's going on, who Aaron's real friends are, and who they can trust while relying on the community around them to help. 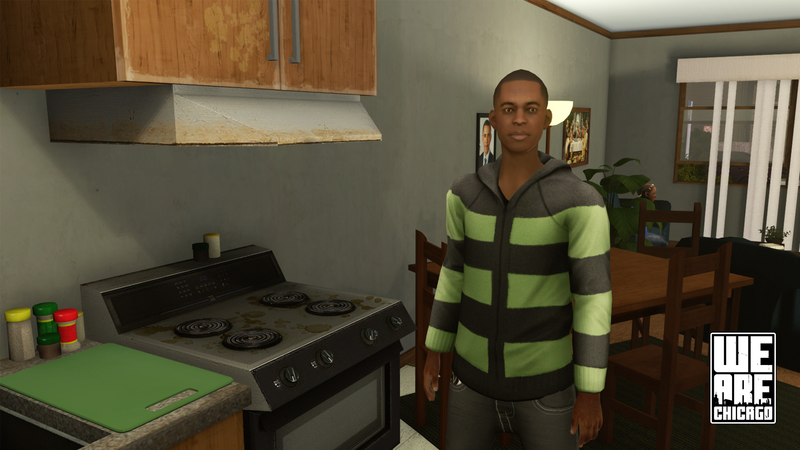 They'll explore Aaron's life and relationships to find out the truth and uncover what really matters. 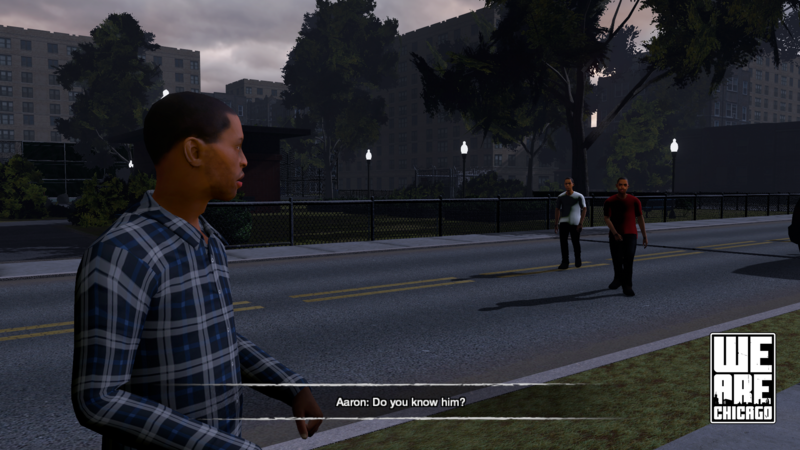 Utilizing a myriad of in-depth first person interviews that are interwoven into the game’s story, everything in We Are Chicago was created with intent and purpose. 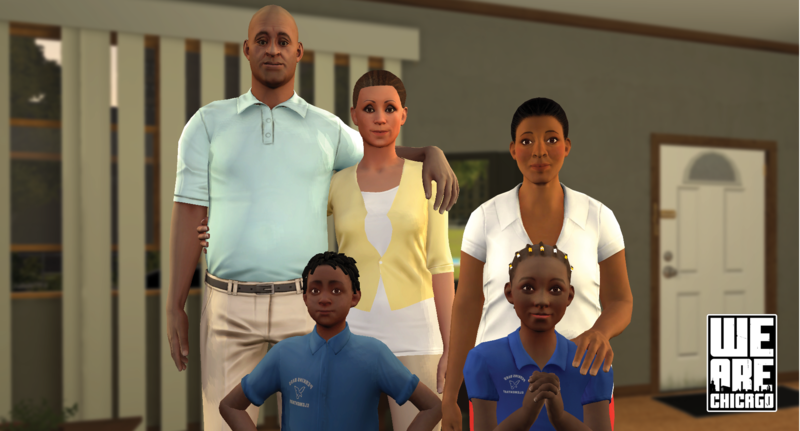 We have worked tirelessly to understand and accurately portray the nuances of the characters’ relationships and struggles while bringing them to life in an interactive gameplay experience. 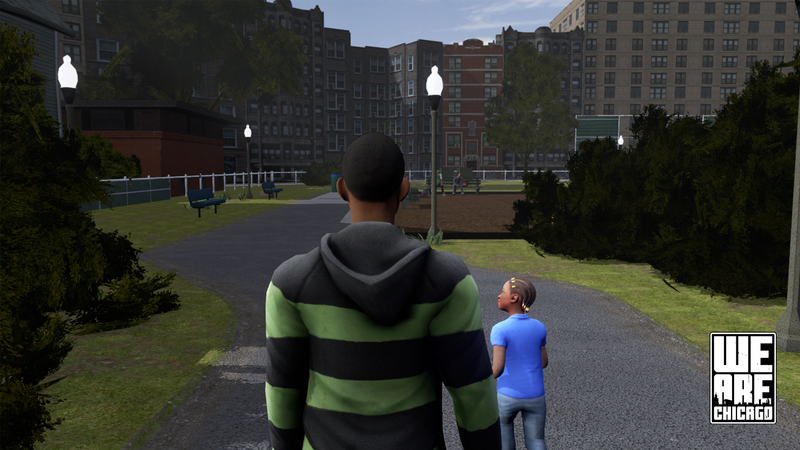 Beyond the game itself, we are using the game’s voice and a portion of the proceeds from the game to help raise awareness and support two non-profit groups, All Stars Project of Chicago and Reclaim Our Kids. who have a mission to help curb violence and provide positive and creative opportunities to kids living on Chicago’s south and west side. Above all, we hope that We Are Chicago will create a deeper understanding, motivate and inspire change, and cultivate a larger conversation surrounding the issues of violence and income disparity. 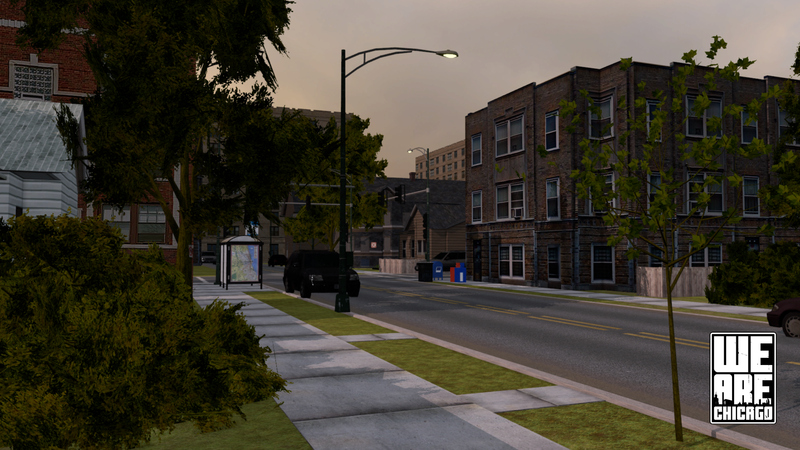 The Culture Shock Games team is proud to announce We Are Chicago, a narrative driven exploration of Chicago's south side. 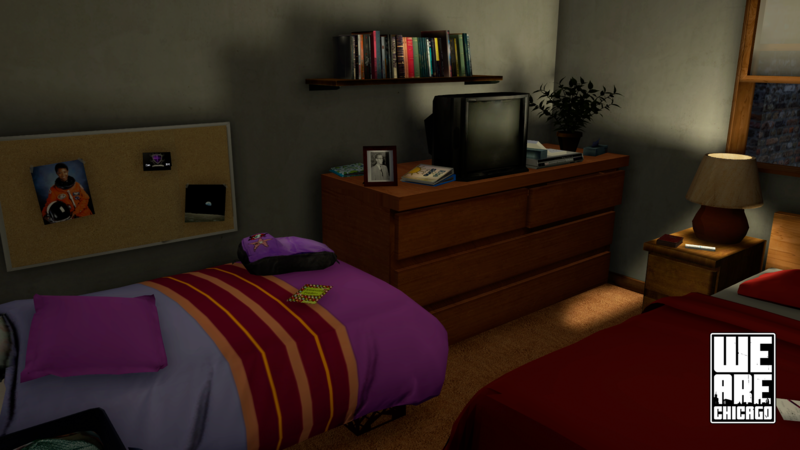 Powerful and moving narrative driven game for PC. Experience a side of Chicago that you've never seen before. Make choices to help protect your family and keep your friends. Enjoy music from local artists that live and grew up on Chicago's south and west side. 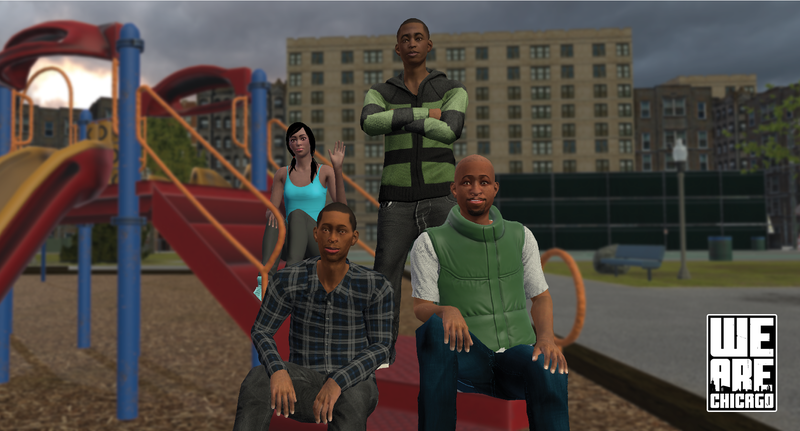 Journey through true life events gathered from members of the community. 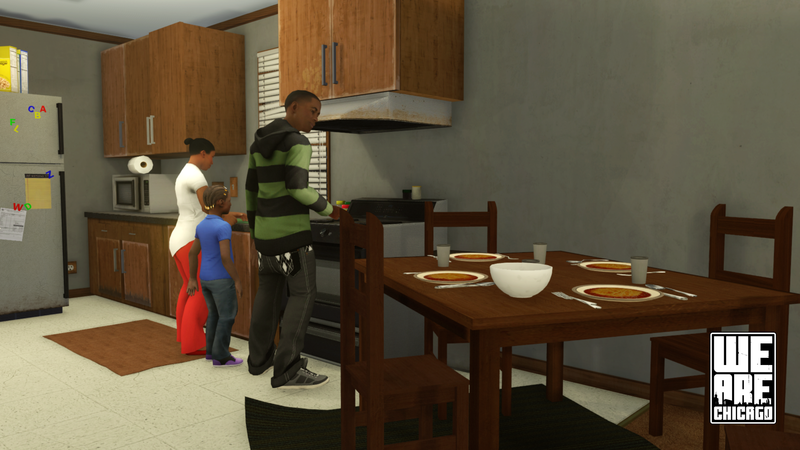 "And it’s not a Grand Theft Auto-style action romp, but a story about a teenager living life with his family, an experience about the people who exist around the gunshots, who hear them while sat at the dinner table." 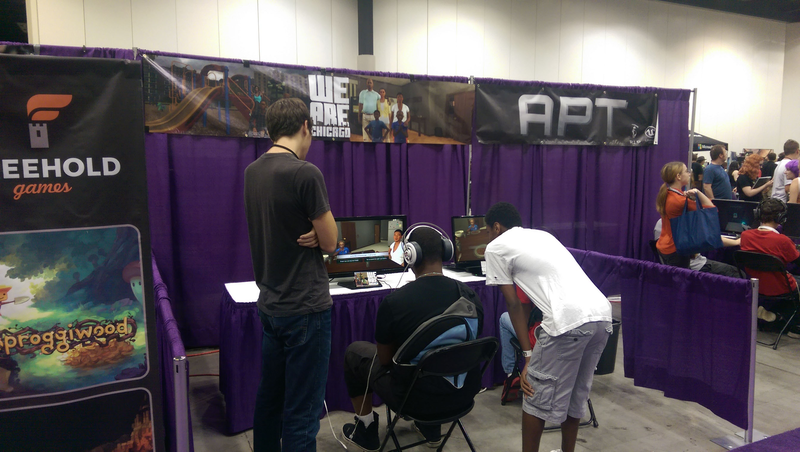 "We Are Chicago isn’t your typical video game project." "We Are Chicago is trying to realistically depict a set of deeply complicated people, places, and situations." "One of the most compelling things about the game is how it’s using an interactive medium to try and make a difference." 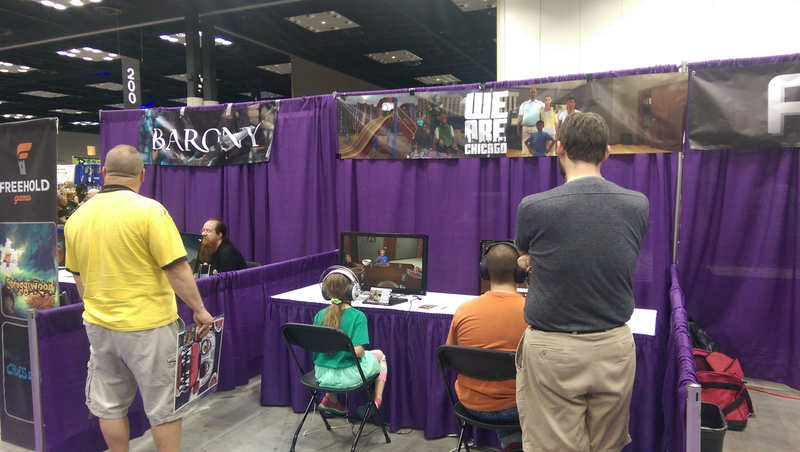 "Based on a brief demo I saw, the game resembles choice-driven, story-heavy adventure games like The Walking Dead." 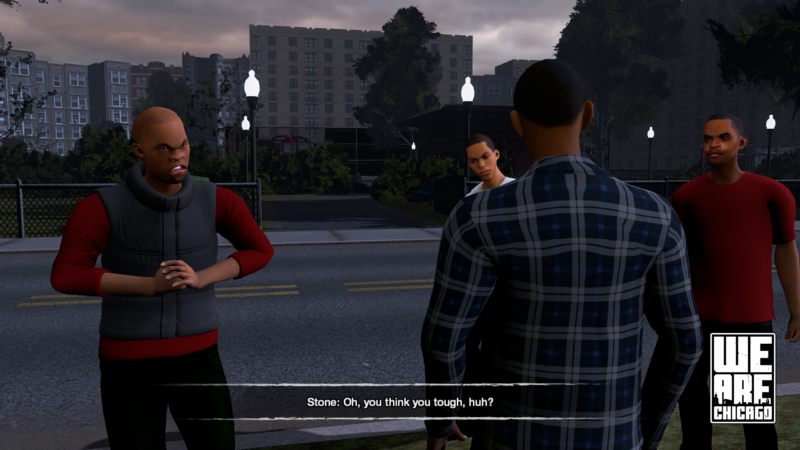 "How a successful indie developer is pouring his time and money into a game about gang violence on Chicago's South Side." 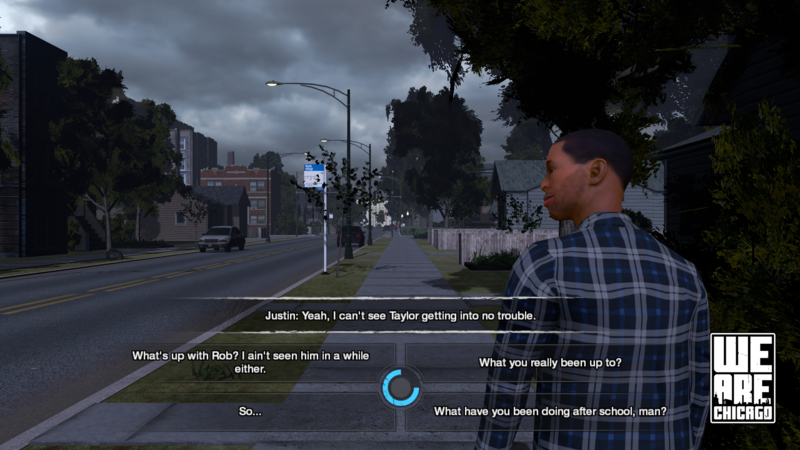 "Guns, gangs, and violence are unmistakable themes in Michael Block's latest video game, but those expecting "Grand Theft Auto: Chicago" will be greatly disappointed." 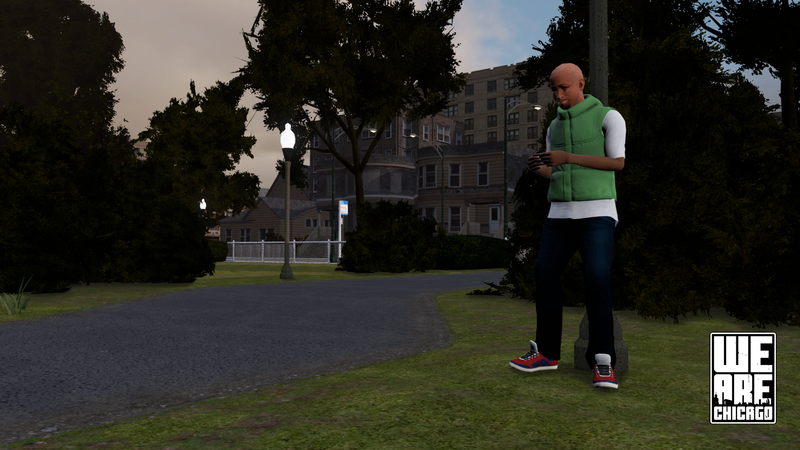 "Modern video gamers often talk about a sense of community, but game developer Michael Block is trying to take that idea far beyond the current reading." 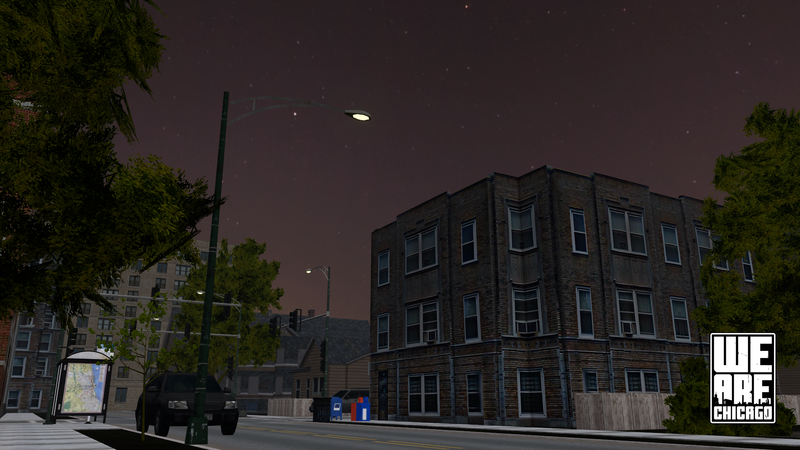 "We Are Chicago hopes to provide what newspapers, broadcasters, and documentaries properly can’t: a first-person perspective of life on the South Side." 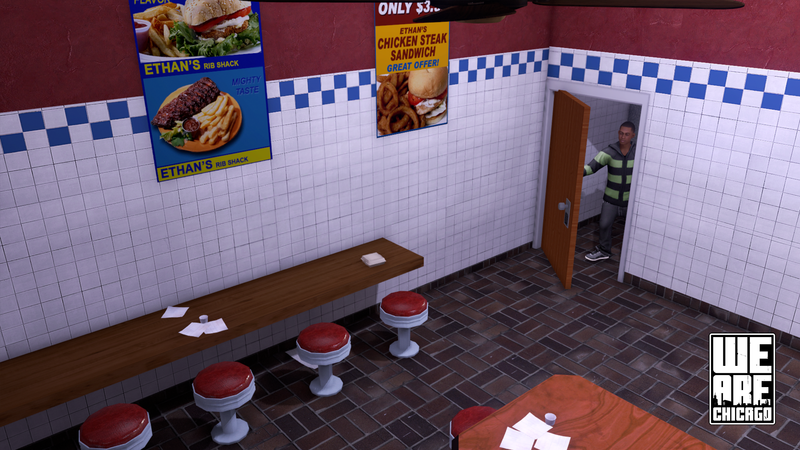 Follow along during the game's development. wearechicagogame.com. 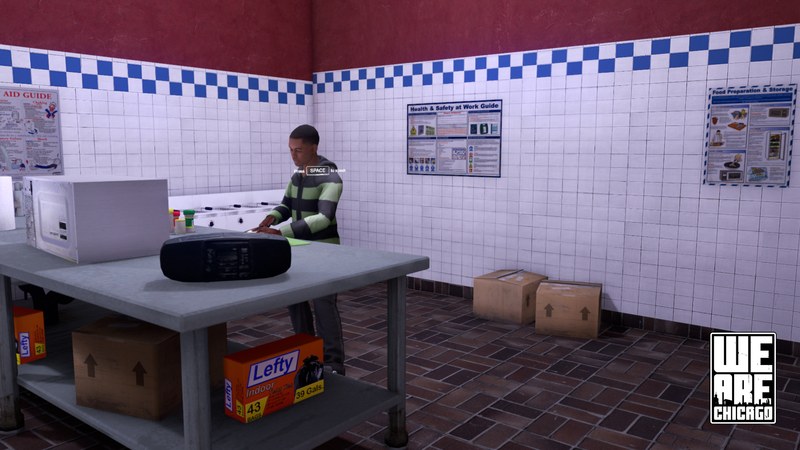 Culture Shock Games tells true stories through video games to help inform our discourse about social problems and to provide a voice to under-represented people. 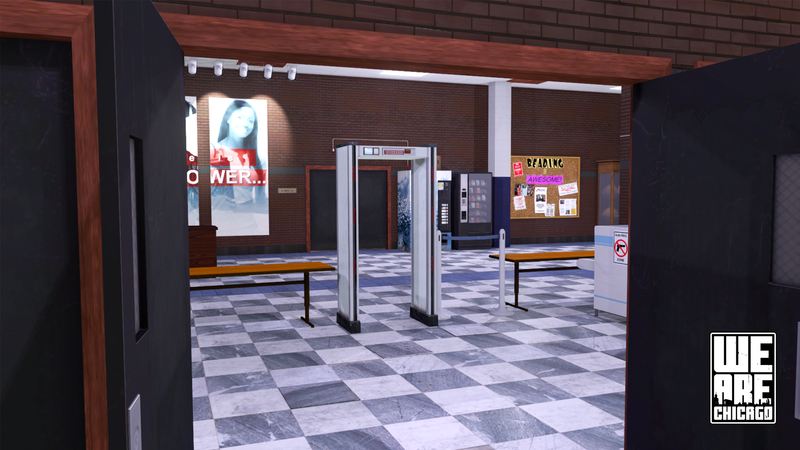 More information on Culture Shock Games, our logo & relevant media are available here.